After approving a wastewater master plan update last month, Scappoose is also slated to update its 20-year water supply outlook. Scappoose city councilors got a preview of a draft master plan update Monday, Oct. 1, during a workshop presented by Daniel Reisinger of Carollo Engineers. Carollo is a consulting firm specializing in water infrastructure. Carollo's report assumes a 65 percent projected growth in water demands in Scappoose over the next 20 years. That means the city will need to increase its available supply. water supply and delivery systems. The city has already taken steps to rehabilitate some of its existing wells, and over the next two decades, it could drill new wells, put in a Ranney well, or even tap into St. Helens' water supply. Carollo's plan calls for pipeline rehabilitation, and updates to the city's Keys Road water treatment plant, as part of a 23-project capital improvement plan. Most of the projects identified aim to improve the city's water supply, while also updating water storage and treatment capacity. "My interpretation is that we're going to be drilling two new wells in the next three years and we think we're going to be OK with supply if both of those are productive wells," Scappoose City Manager Michael Sykes said Thursday." The other thing we really need to do is try to get a better sense of what kind of water volume we can expect from the creek. They've never been monitored before." "It's usueful from a planning standpoint to give you an indication of what you're looking at in the future," Reisinger told councilors Monday of the draft plan. "Most of the revenue you'll get is from your rates." Sykes said he's not certain that will end up being the city's final cost, and noted some of the well projects will be paid for by developers. "In five years, we're going to have a lot better idea of what our future is," Sykes said. A draft water system plan calls for $27.6 million in projects to increase supply, with an additional $35 million in distribution infrastructure and upgrades. Councilors briefly discussed how to pay for the capital projects, but a financing plan has yet to be solidified. "I kind of hesitate taking on more debt," Councilor Pat Kessi said. Kessi noted he'd like to see a rate increase study that could identify where the city's rates need to be to cover project costs and see the city "try to do whatever we can not to take on debt." The plan's analysis indicates an annual water rate increase of 5.5 percent could cover the cost without the city having to incur new loans. Monday's snapshot gave councilors and city staff the chance to mull over projects, timelines and cost estimates, but the plan has yet to be finalized or adopted. 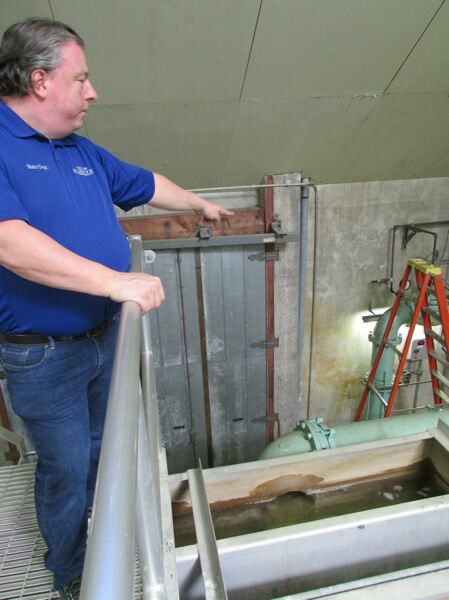 Scappoose's water master plan update comes at roughly the same time as the city's wastewater plan update, meaning the city could be juggling substantial water infrastructure projects at the same time.